Lesley + Duane. These two love birds win the "most loving and affectionate couple" award for sure! Not only do they have an amazing love for each other but also for God. Their passion for loving and helping others is infectious and it's been a joy to work with them. We had a special engagement shoot planned out with the help of my friends David & Leslie to capture it all on video as well. 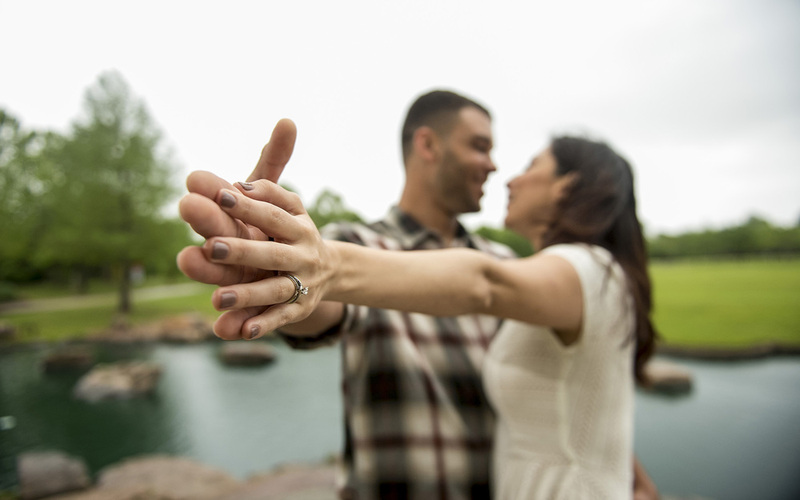 Oyster Creek Park in Sugar Land, TX was the perfect place for a romantic engagement session. Even though it eventually began to rain we were able to turn these drops from heaven into a backdrop for some beautiful images that this couple will cherish for years to come. We had also talked about using Lesley and Duane's mini coopers for a shot. I knew these guys were wet and tired but I had a idea for their cars in mind that I hoped would be worth while. YES! It was worth the extra effort in the end. I now have my new favorite romantic image of the year! Two lovers + Their cars + Rain = MAGIC. Thank you guys were amazing. Thank you David and Leslie for the video footage. Can't wait to see more. Behind the scenes with Houston/ Sugar Land lifestyle engagement & wedding photographer, Jason Smelser, for Lesley and Duane's engagement session.